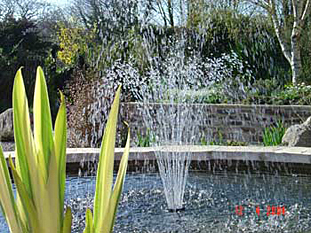 Hidden Valley Gardens has many themes including a Mediterranean area, colourful herbaceous and cottage garden beds, a ‘hot’ border, pond garden, Japanese area and an iris garden, plus potager, Fairy Well, fruit area and fernery. Witness the scorching colours of the dahlia, crocosmia, clematis and agapanthus collection beds. The nursery and garden is now taking shape after much hard work. The apartments and nursery are run single handed by me with some help in the garden. 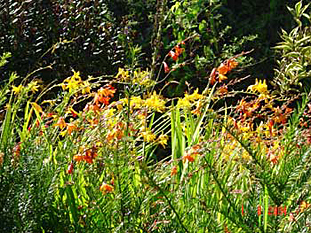 I specialise in cultivating perennials for sale, which can be seen growing in the garden. 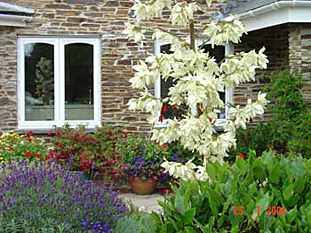 It is not a typical Cornish garden with rhododendrons and camellias, although I have developed a woodland garden in one area with various trees and shrubs. I propagate many of the plants for sale in the nursery from my garden and although I have limited stock it should be interesting. The garden is well labelled and visitors are welcome to walk around all areas. There is a Tea Hut next to the Sales area, where you can serve yourself tea/coffee with home made cakes. There is also a toilet and picnic tables. 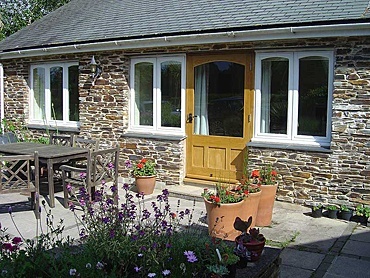 The Garden Studio is in a natural stone building that is separate to the main house. 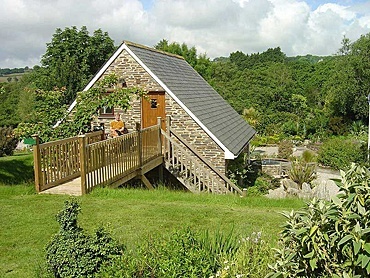 It is accessed by external wooden stairs leading to a decking area for outside dining. Inside you will find a studio room with south-facing views over the garden, a large bathroom and a small, but fully functional galley kitchen. Please click here for further information about our accommodation. The West Wing is ground floor accommodation, facing south down the garden. The entrance is from your private garden patio, where there are outdoor dining facilities. It consists of a large lounge with a dining and kitchen area and a separate bedroom with en suite bathroom.